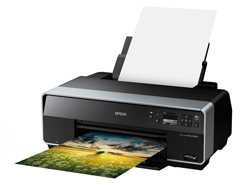 Wide format printers use pigment ink for its longevity and resistance to sunlight. GMS stocks A4 and A3+ devices from Canon and Epson that give similar performance characteristics in more manageable sizes. 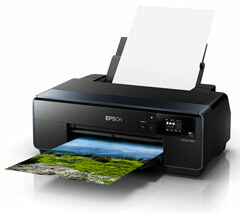 Even owners of wide format printers should have a desktop machine at their disposal as smaller sheets and cards cannot be printed in larger devices.